Earlier this year, Nike’s hybridized Vapormax Plus silhouette cemented itself as one of the most popular sneakers of the year as its whimsical color schemes became instant hits as they hit shelves. 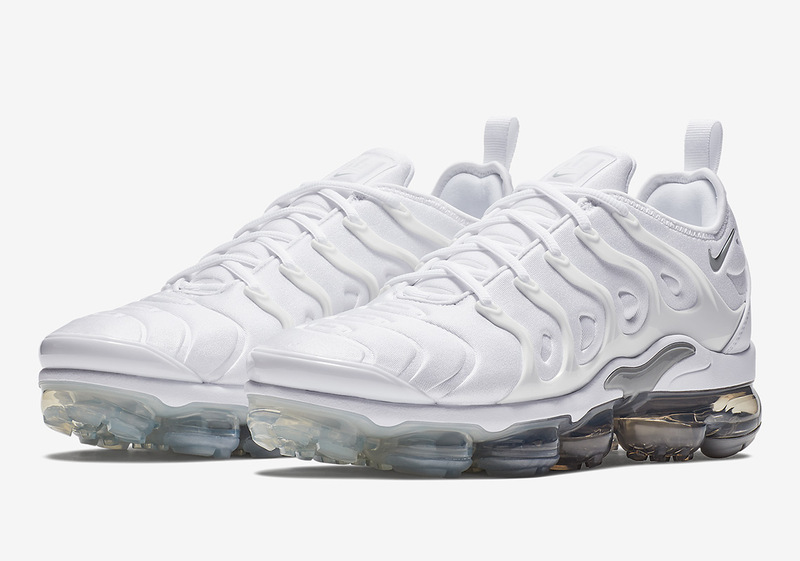 Now, the Swoosh is set to release the simplest take on the Vapormax-infused shoe yet by way of this angelic Pure Platinum selection. Its molded Air Max Plus upper sticks almost entirely to white, but ushers in Wolf Grey in select areas the likes of its lateral Swoosh and midfoot shank for a touch on contrast. One of its most interesting design elements can be seed on its outsole, where Nike opted to add a gradient pattern that starts with a matte silver at the heel and makes its way to a fully translucent look at the toe. Fans of this angelic take on one of the year’s best fusion sneakers can head over to Nike.com to scoop their size today.